String Art layout - Pebbles, Inc.
Hi everyone! 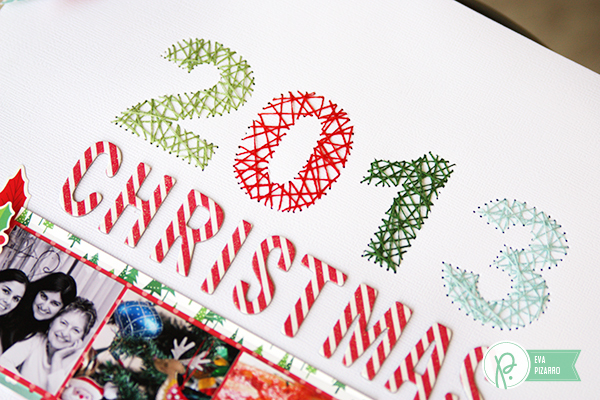 I’m Eva Pizarro and I’m here to show you how to incorporate string art into your layouts. I love the look of string art and it’s an easy way to add color and texture. 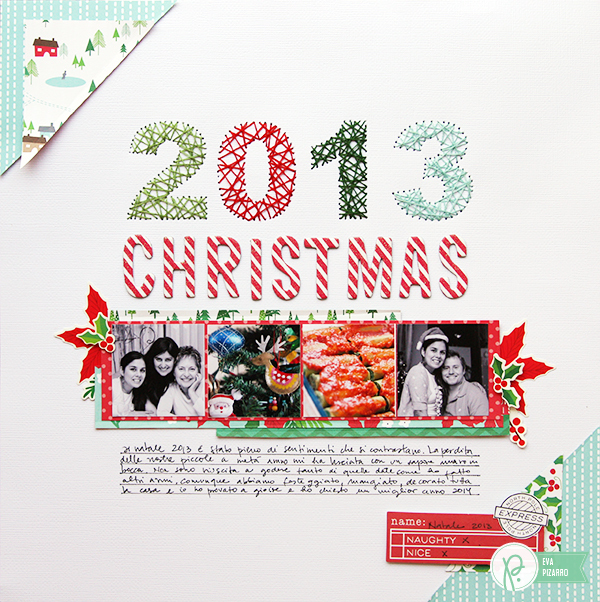 In this layout, I used the Home for Christmas collection to record some of last year’s memories. Begin by printing the image you want. Use a simple and thick font to make the process easier. 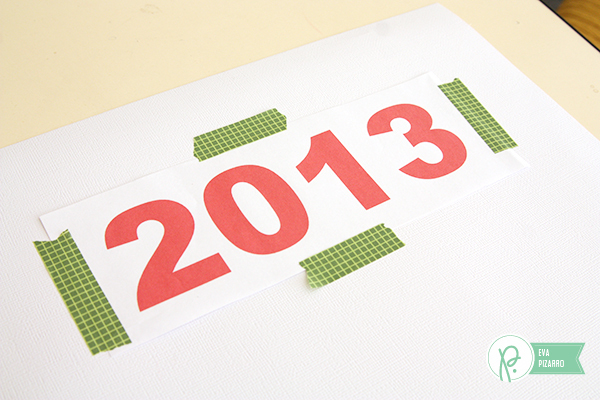 Cut the paper and use some washi tape to put it on top of your base. 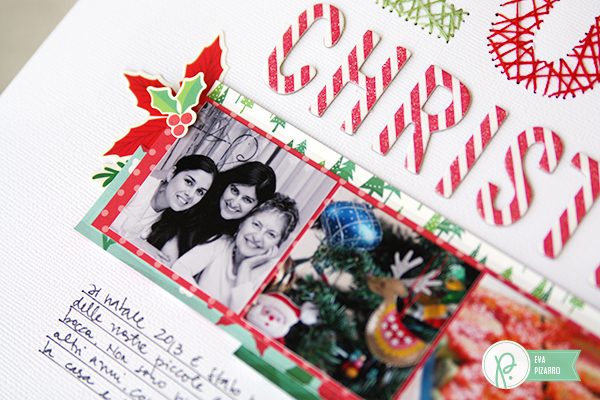 With a sharp tool or a big needle poke holes all around your image. Make sure the holes are not very close or the paper could break. Using 2 strands of embroidery floss, fill the numbers. 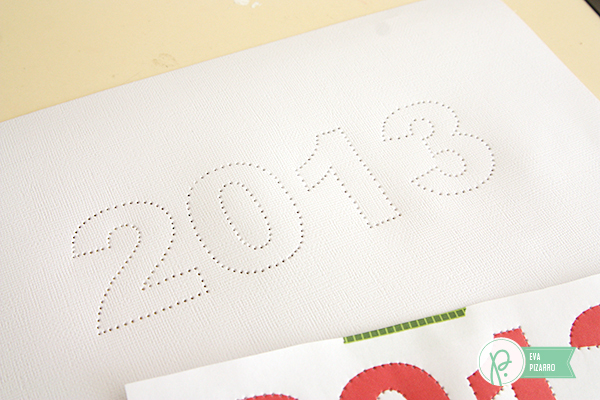 Do an irregular pattern and make sure you pass through every hole. 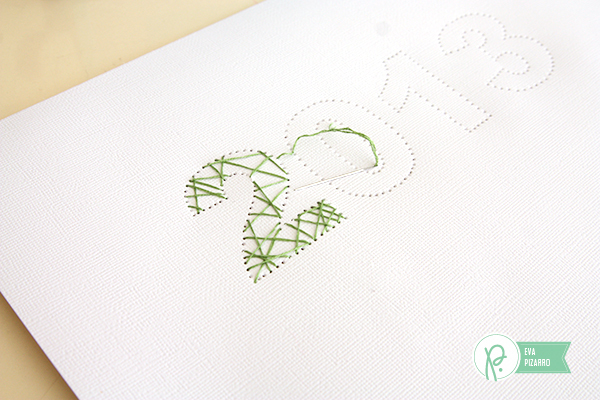 Use some washi tape to secure your stitching on the back. You can use one color for all your letters, use a different color for every letter, mix all the colors or create an ombre effect. Here’s my final layout. I simply added a few embellishments on the corners and matted my pictures with patterned paper. 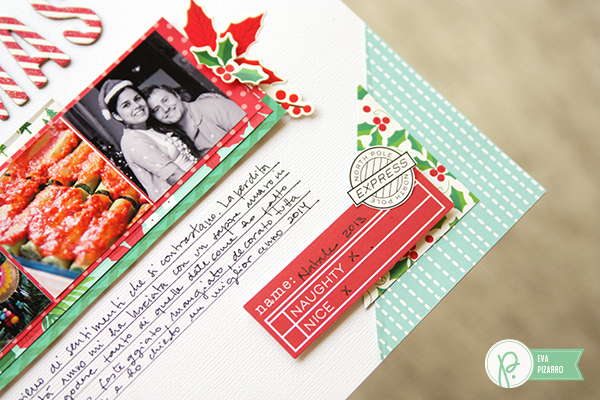 I hope you like this idea and that you can use it for your next project! Wow Eva!! Totally adore this!! Love the stitching and love the design! !